The large diameter manual and automatic chuck manufacturer will be 100 years old on 12 May. Throughout its history, the company has designed and produced many different components and industrial machinery (lathes, milling machines, bits, sharpening machines, etc.) and currently it is one of the lathe chuck producers with the greatest renown in the world. 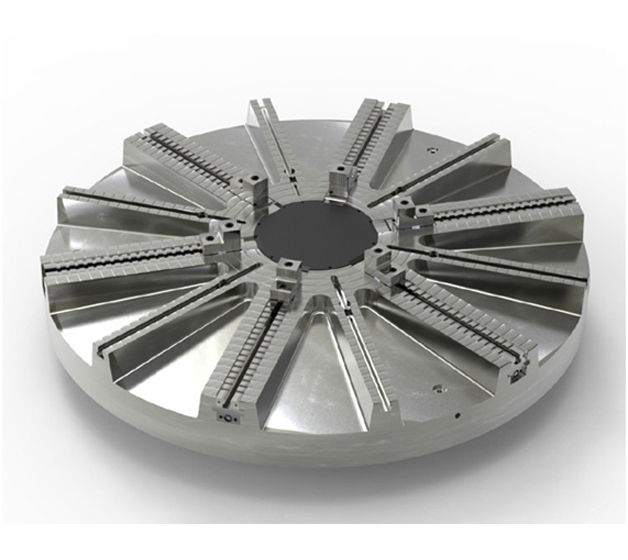 Its diameter range has reached 7 metres for manual and hydraulic chucks and it is currently immersed in different R&D&I projects with national and international partners. TDEG will be present at the BIEMH to be held in June (hall 3, stand C20), where it will present an automatic 3+3, 1600 mm diameter chuck, and a manual Heavy Duty 4-jaw 1800 mm diameter chuck.